Forget the stars seen on the Hollywood Walk of Fame. Think in this case, "arm of fame." WASHINGTON -- He is a bigger superfan than you. 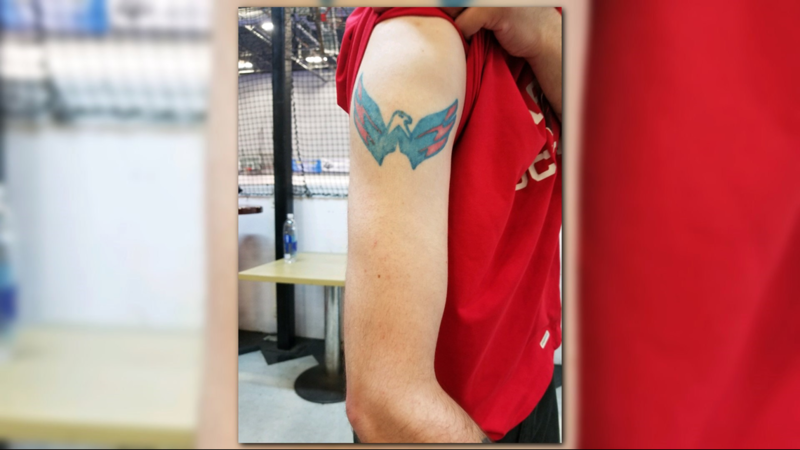 And his love for the Washington Capitals runs more than skin deep. He has an online hockey broadcast. 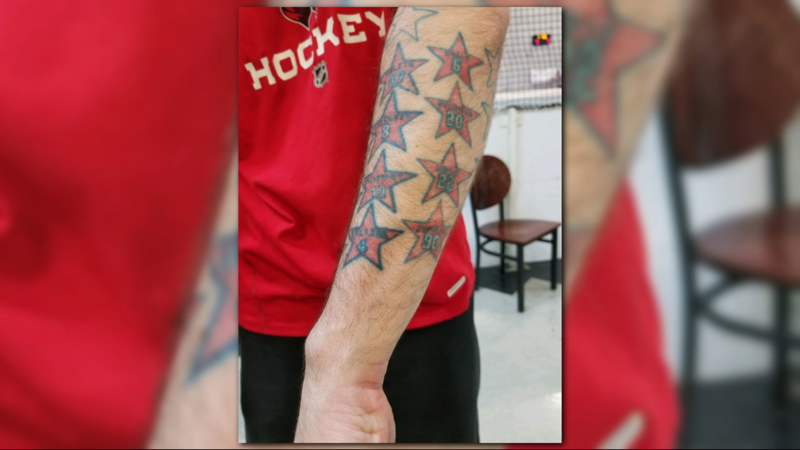 And he sports 20 stars on his left arm, featuring the most legendary of Caps players. 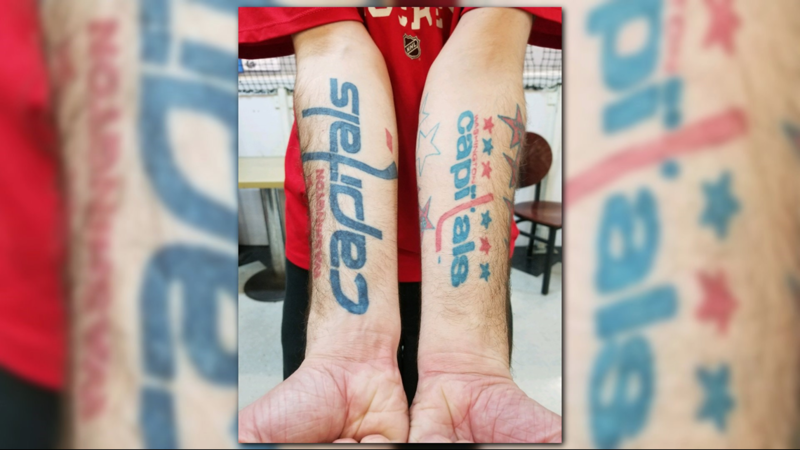 The Maryland superfan also has arm-length current and retro Capitals logos, one for each arm. The Caps “weagle” emblem found on his right shoulder brings the total to 23. 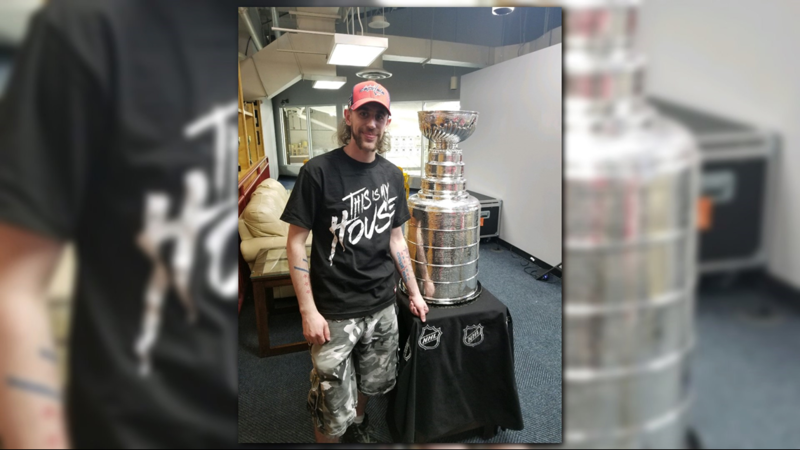 Lindenbaum is without tickets to a much-anticipated Game Four in Washington. Hopeful the kindness of strangers will send him there, Lindenbaum said he can be reached on Twitter or Facebook.